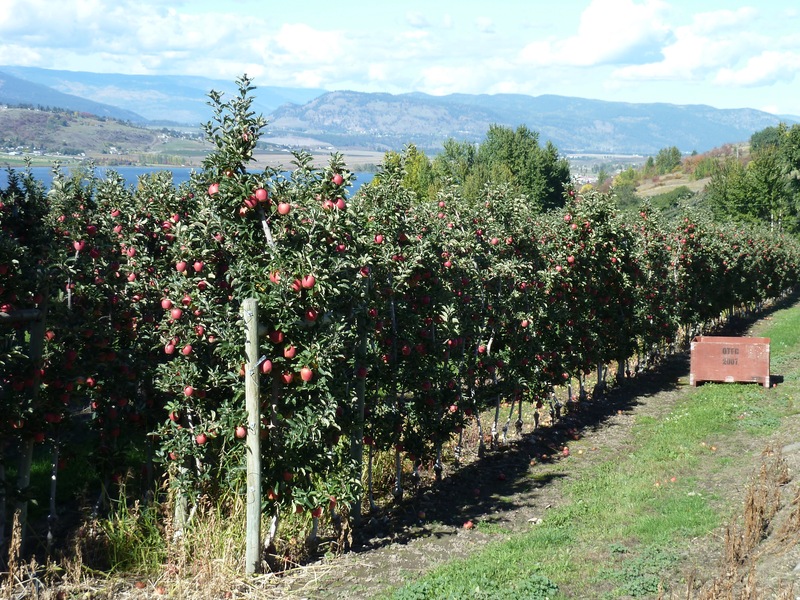 It’s apple harvest time in the Okanagan. The orchards are beautiful with ripe apples and the farmers’ markets offer many varieties for sale. I am fascinated by the way apples have been marketed over the years and the traces of attitudes and beliefs that remain today about apples as a result of this early marketing. Provincial governments and industry organizations actively promoted apple consumption as the number of orchards and production grew. The Federal government also took a visible and active role in the first half of the twentieth century, publishing several recipe and information booklets. The beauty of a shiny red apple was highlighted in a small federal publication shaped like an apple! The booklet titled Recipe Book for Enjoying Apples is undated but the Honourable James G. Gardiner was Minister of Agriculture at the time and his term of office was from 1935 to 1957. The booklet was likely published in the 1930s or 40s. Apples contain salts essential to the body. Apples hermetically sealed from pathogenic germs. Every child needs an apple when daddy smokes. The right way! More apples, less meat. An apple each night starves the doctor outright. Study the food value of the apple. Apples, the cheapest medicine you can buy. You cannot afford to be without apples. Never order apples in less than a bushel quantity. Economize by buying in considerable quantities. Use apples and lessen cost of living. Get With It! Join the Trend. Join the apple consumers’ league today. Get a box of apples now. Apple day is every day. The apple is the king of fruits. Why not start the apple habit now? Let baby play with an apple and get the habit. Keep your home supplied with good apples. Oh, you deep apple pie with cream! One way to keep your husband in good humour. Try an apple pie as mother used to make it. Try an apple pudding for your Sunday dinner. When ordering food supplies, write apples first. Know the varieties, buy the best, come again. Recipe booklets and advertisements for apples have all but disappeared although websites now provide much of the information and recipes that used to be contained in booklets. Many of the old messages though are quite ingrained. Apples may not be trendy these days but economy and nutrition are still reasons people reach for apples and apples remain a common part of most people’s diets. [i] Driver, Elizabeth (2008). Culinary landmarks: A bibliography of Canadian cookbooks, 1825-1949. Toronto: University of Toronto Press. Thanks for your information. You are referring to the beautiful “Recipe Book for Enjoying Apples” are you?